This replaces the ripple effect seen in rivers, lakes and pools when it rains. Available in x256, x512 (Vanilla/RW2 size), x1024 and x2048 sized textures. This replaces the ripple effect seen in rivers, lakes and pools when it rains. 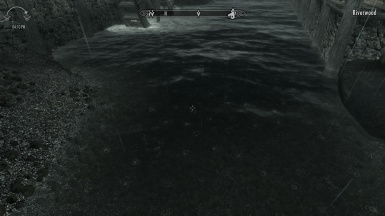 I didn't feel that the vanilla ripples looked like they were being caused by the rain. 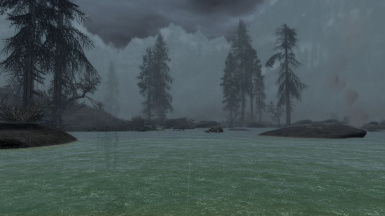 So, I added a couple more textures to the effect to make the water look more busy when it rained. I now think it looks more like it is being reacted upon by the drops. The image doesn't do the effect any justice as it is meant to be viewed in action. Available in x256, x512 (Vanilla/RW2), x1024 and x2048 sized textures. 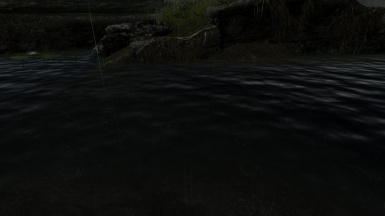 This is not compatible with other mods which change this mesh or the ripple texture. 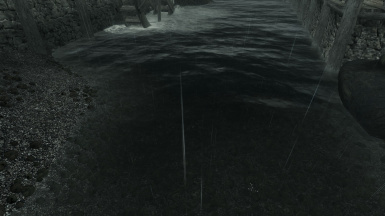 Install after water mods, e.g. Realistic Water 2 and WATER and overwrite when asked. version 2.0: Updated all textures and gradient. I noticed a few things in the video by Madchieften (many thanks) which I didn't like. Now the ripples look more natural and appear more random when displayed. version 3.0: Updated all textures and gradient effect, they now look a lot more natural and less chaotic. This version should fix all the flashing problems which have been reported (leave a post if you still have this problem). If the problem has been resolved then I will consider this to be the final version.